Building equity is not a quick or easy process, but if you start with a focus on your community’s hopes, skills, and strengths, you can create change on a large scale. I’ve seen this firsthand as a former teacher, a longtime activist for equity, and the current executive director of Engaged Latino Parents Advancing Student Outcomes (ELPASO). Our grassroots organization started with informal living room cafecitos, where parents gathered to share their hopes, concerns, and shared experiences. We grew into a nonprofit organization with community organizers who knock on doors, listen to parents, and work to build leaders and advocates. We are committed to the ABCD approach (Assets-Based Community Development), which means we start by listening to parents about their concerns, needs, and ideas, rather than just creating programs and trying to meet participation goals. 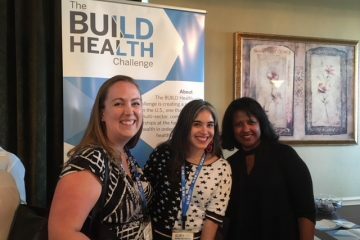 Our participation in the BUILD Health Challenge is a real-world example of community engagement and collaboration in action. 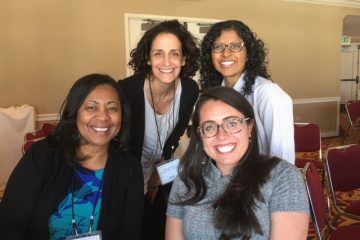 Along with our partners in the Raising of American Partnership, in Lafayette, Colo. — the Sister Carmen Community Center, Boulder County Public Health, and Avista Adventist Hospital (Centura Health) — we are committed to improving early childhood development and community health. We’re focused on Two Gen strategies like advocating for family-friendly workplace policies that impact the whole family. We’re also assessing community health needs to better connect institutions and residents. Our role within this project has been to organize and inspire a resident-led group of changemakers and advocates. This group of Latino parents came together and decided to focus on concerns with the school cafeteria. Our school district works hard to offer students wholesome, nutritious food, but many Latino children don’t eat the food because it is not familiar to them. We have heard stories from children about poor treatment from the food service staff, and these stories have been reinforced by the parents’ firsthand observations in the cafeteria. We brought our concerns to leadership at the Boulder Valley School District (BVSD) and the Chef Ann Foundation and were met with open ears and minds. Chef Ann Cooper, an author, chef, educator and enduring advocate for better food for all children, invited our parents to share their experiences with her staff and is working with us to incorporate more culturally familiar recipes. We appreciate the opportunity to work with BVSD, because listening and valuing the voices of parents is key to building an equitable school system. Our parents are motivated by this opportunity to be heard and are committed to break down barriers and advocate for equity. Tip 1: Ask yourself: Am I ready to really listen to the community and allow them to make this work their own? Am I willing to make some changes and shift my power to allow residents to take charge? If so, then you’re listening. Tip 2: Establish an organizing cycle. If your community feels confused or scared when working on issues, you won’t create the change you’re seeking. Here’s our formula for success: listen to the concerns of parents through listening conversations, become informed on the issue, create a plan of action, and then take action. When everyone feels ready and secure, that’s when change happens. Tip 3: Follow ABCD principles. When organizing is done with love and with residents at the center of it, you will see and create movement and change in your community. Tip 4: Celebrate! No matter how big or small your win is, it’s important to celebrate your community’s accomplishments. Celebrating gives parents power and drive to continue organizing. Want to learn more about community engagement and collaboration? Check out the communities page.